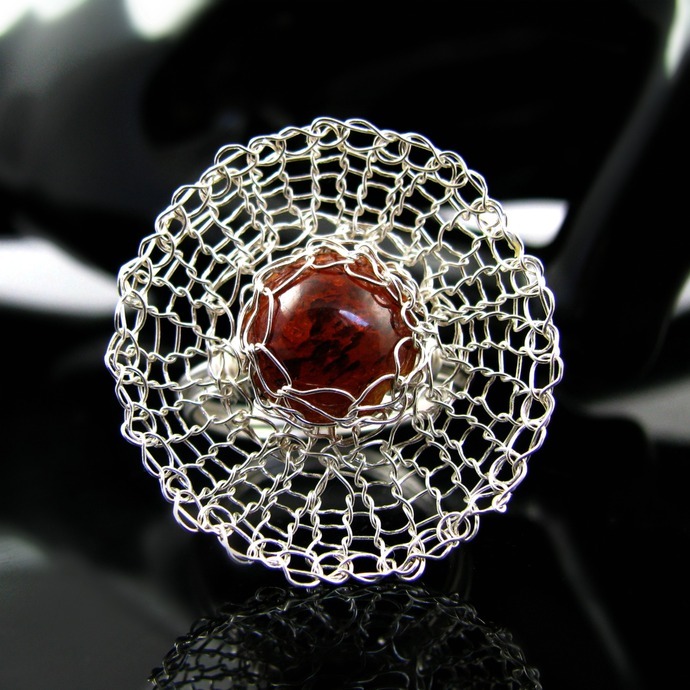 I don't know what you see in this ring, but I was reminded of a tender spider web myself in which a beautiful dark faux amber cabochon with inclusions is caught. 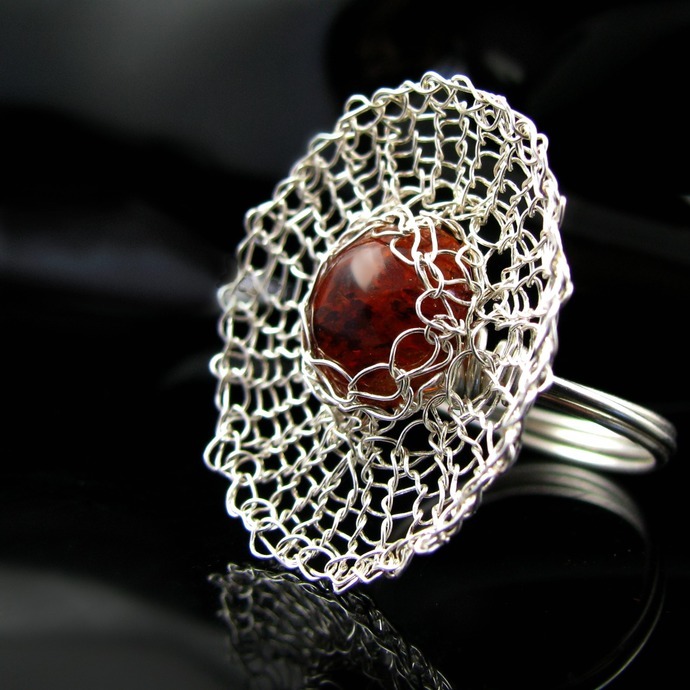 I knitted the web with a very small crochet hook from fine silver wire and then attached it to a ring shank wrapped from sterling silver wire. 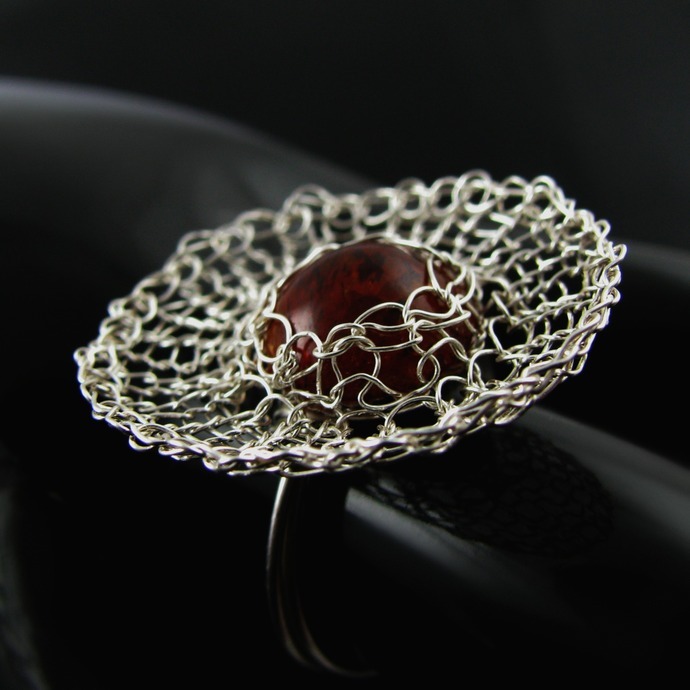 The ring has modern yet delicate feel to it and is very comfortable to wear. 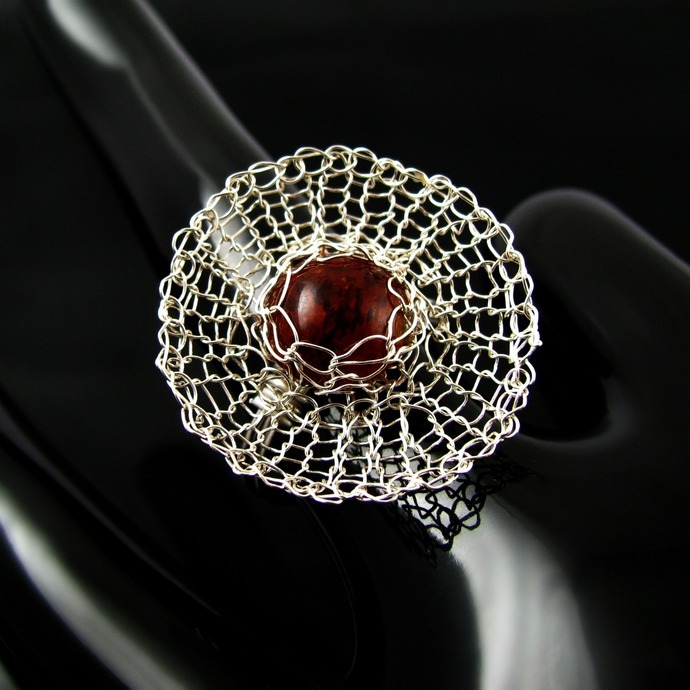 The diameter of the silver web is 2.7 cm or 1 inch which makes it impossible not to notice. 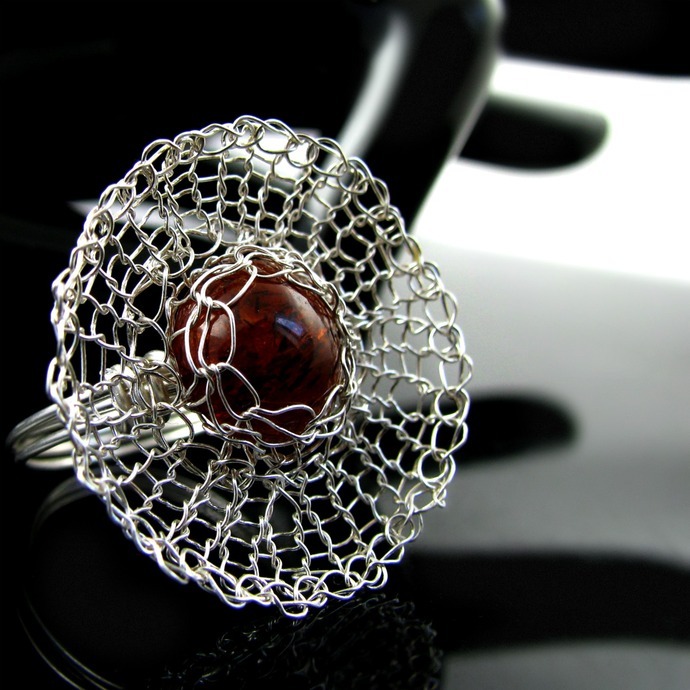 Its size is 17.75 mm or US 7.